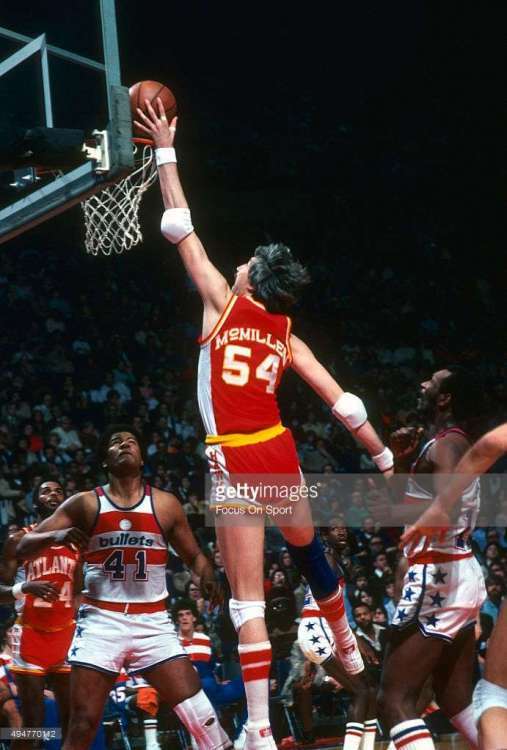 I wasn't sure where to put all of these, so I figured I'd start a new thread of small little finds I found while browsing the 'net -- and specifically, right now -- Getty Images. Most of these are small oddities, difficult finds and what not. 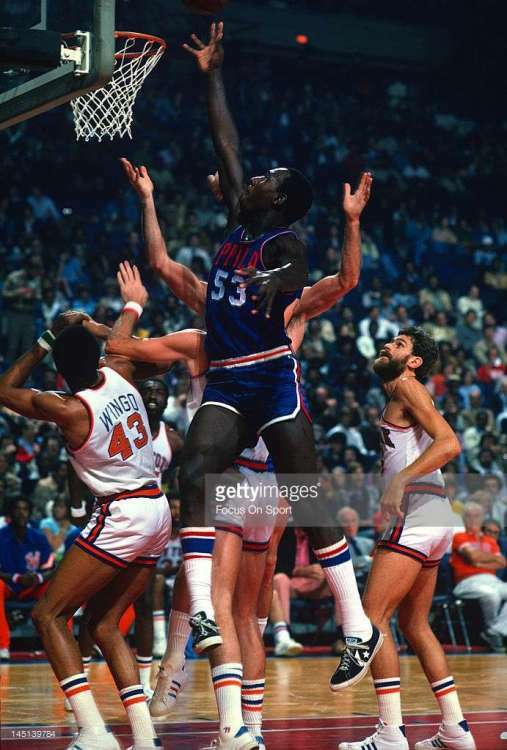 I was going to open this up to stuff I found in other sports, but basketball and NBA history in the 70s and 80s has recently captured my attention. Royals vs. Warriors game in Phoenix's Arizona Veterans Memorial Coliseum. The caption says it was a 1967 pre-season game. 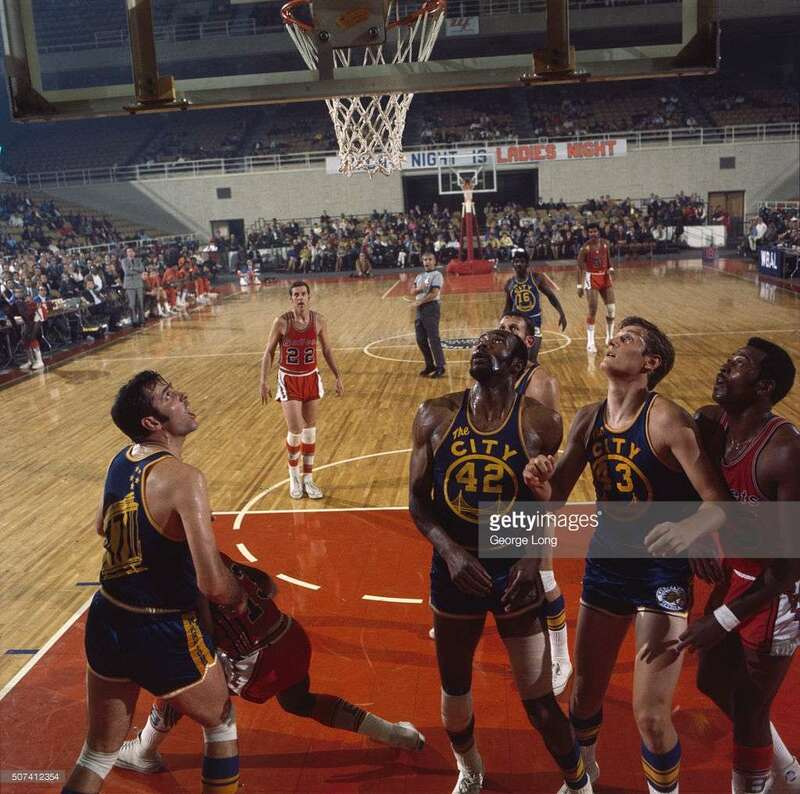 Note Rick Barry in the old-style Warriors' jersey. 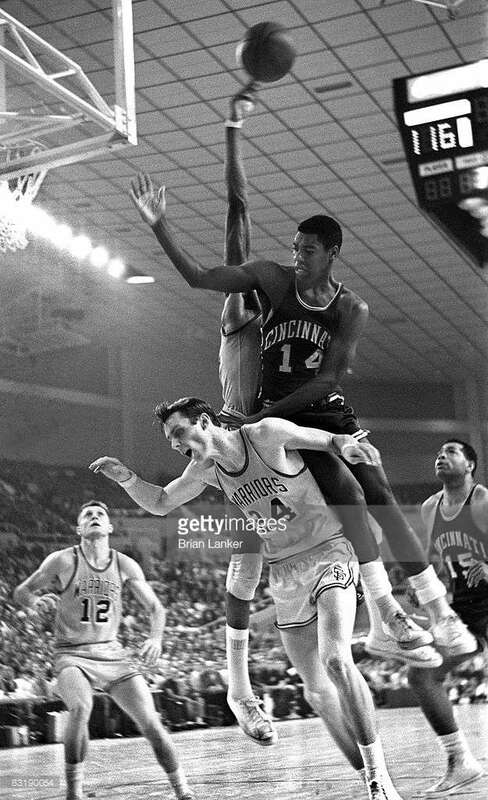 He never wore these in the regular season as 'The City' jerseys were introduced on Opening Night 1967. 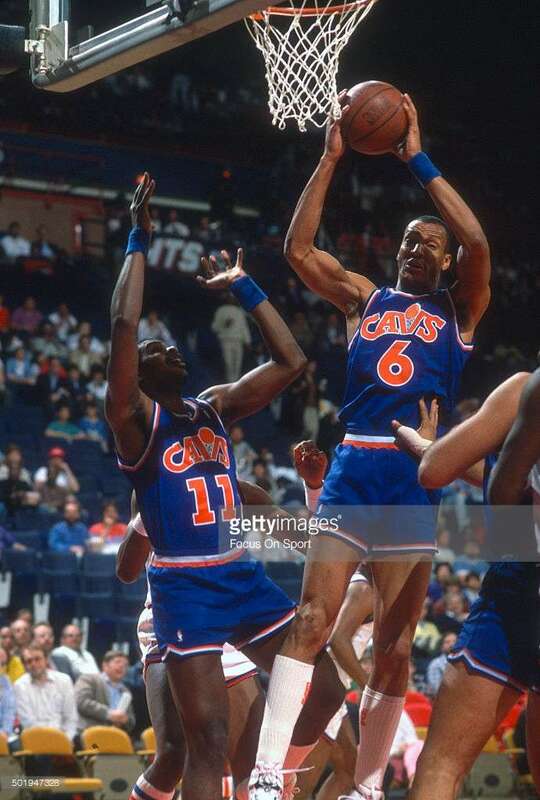 Larry Nance wearing #6 in the half season right after he was traded to Cleveland from Phoenix. 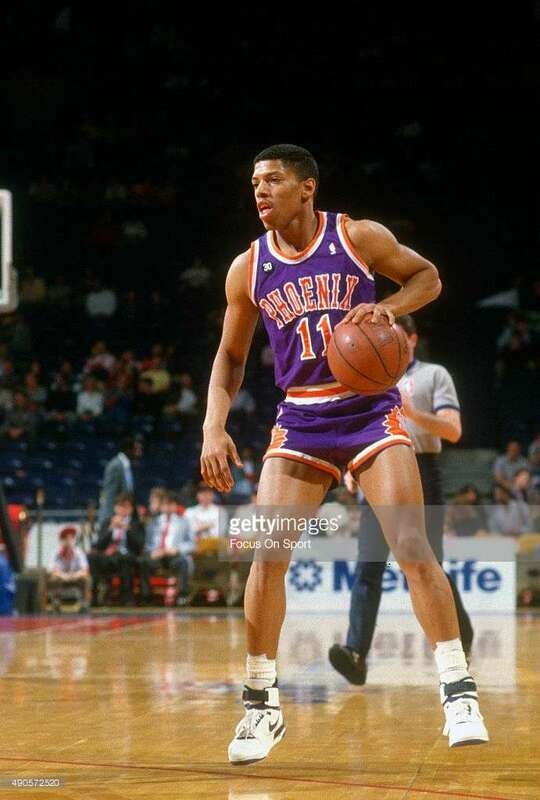 Similarly, Kevin Johnson wore #11 in Phoenix for the half season after he was traded from Cleveland to Phoenix. Interesting font and styling of Tom McMillen's name on this Hawks' jersey. Not sure why the underline? 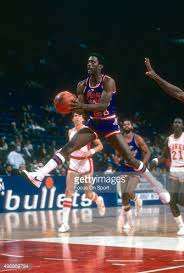 Notice the name on the back of Dave Stallworth of the Bullets. 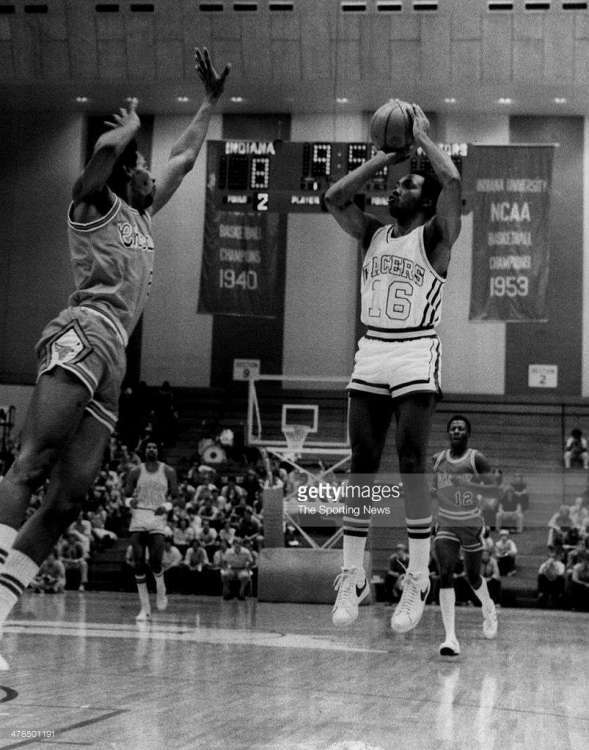 The name was pretty long so the "st" of Stallworth is white to not clash with the blue stripe. 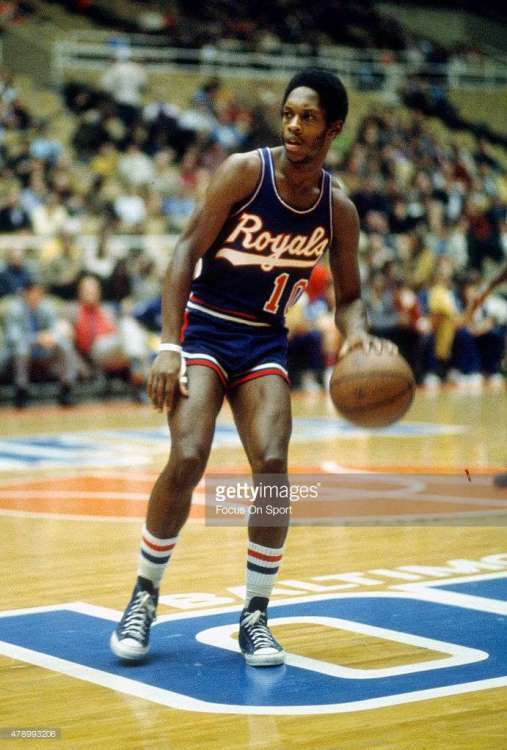 I've had a hard time finding this Cincinnati Royals jersey style. I believe it was worn only one season before they moved to the Midwest as the Kings. Notice the many different styles of "2s" on the Kings. 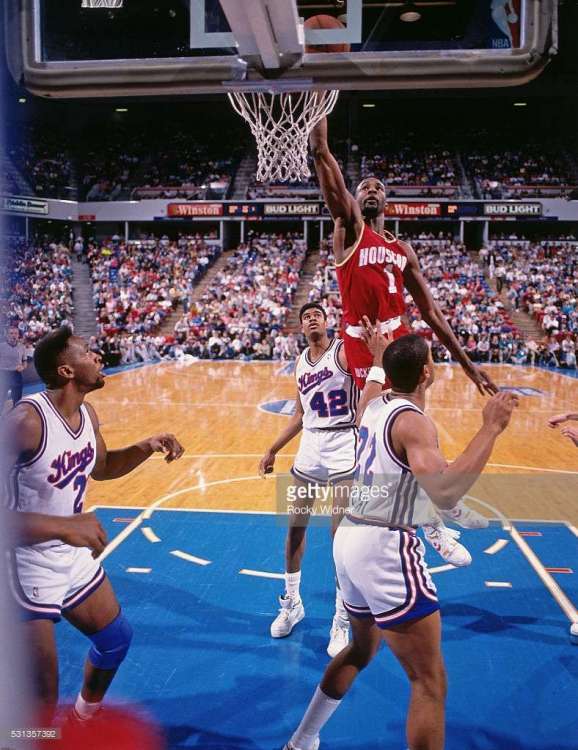 McCray (#22) and Tisdale (#23) have a slanting 2 and Pervis Ellison has a blocked 2. Probably a laundering issue. 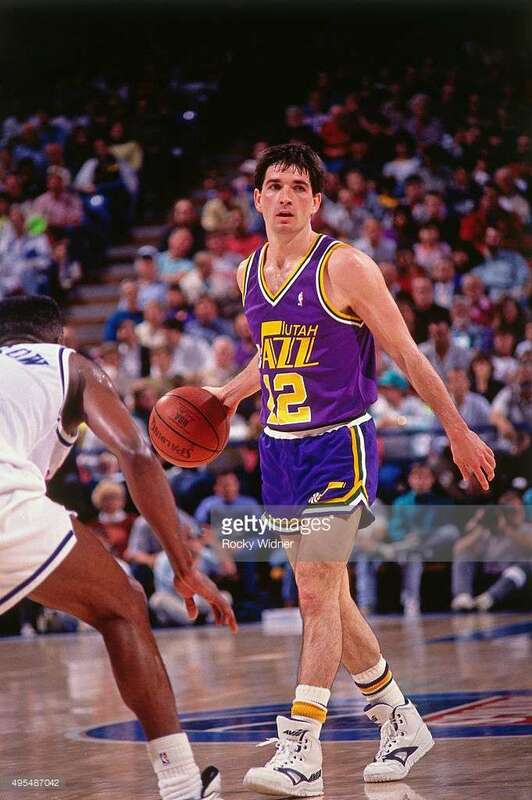 But, notice the different shade of purples on the jersey and shorts. Doesn't seem to have been a year long issue, just this game from what I saw. 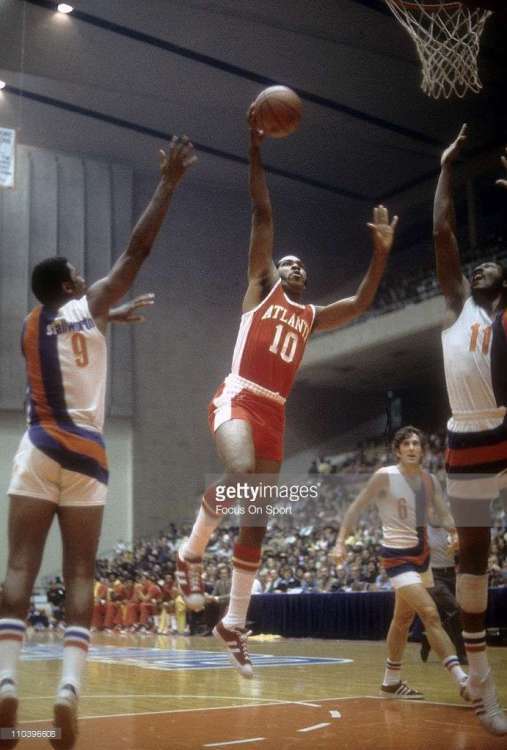 I've never seen this jersey, especially on Dawkins, but this seems to be a preseason game in 1976. Posted this in another thread, but this belongs here too. Ted Stepien (pictured) poses with the logo he was going to use for the relocated Cavs if he was allowed to move them to Toronto as the Towers. I haven't seen many pictures of Charles Barkley in the Sixers' rainbow jersey with his familiar #34. 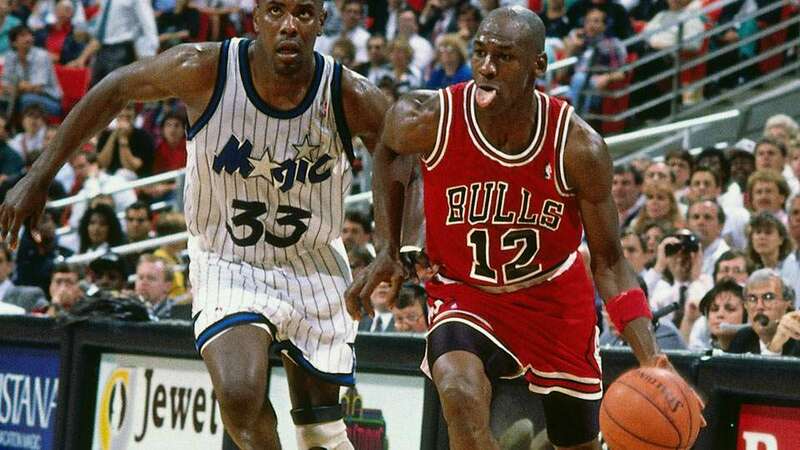 As many know he changed his number to #32 after Magic retired in 1991. What scraw28 said. Also, on-court jerseys never had the Champion logo--or any other manufacturer's logo, for that matter. Until next season, that is. Worse, stolen by a fan! 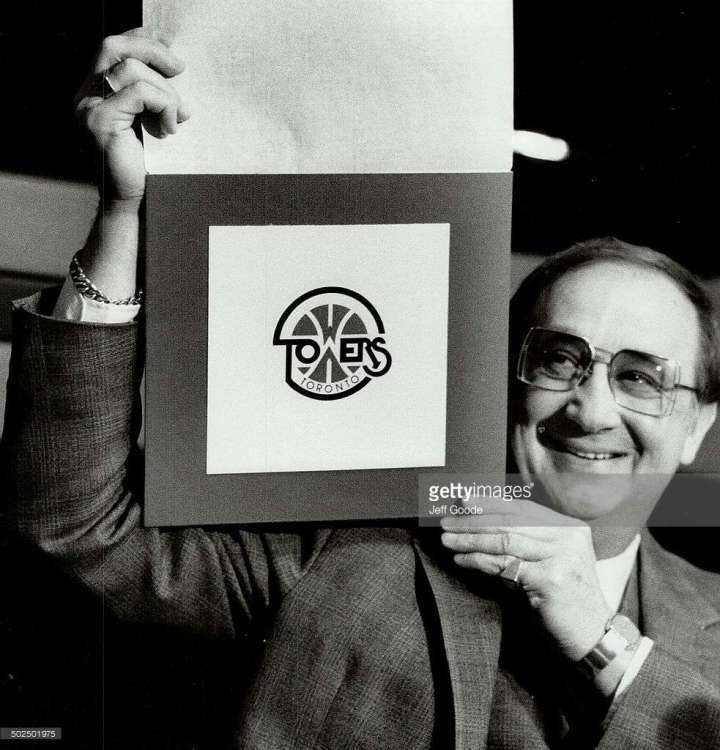 We make fun of the NHL a lot here but the NBA before David Stern was basically an overgrown rec league where Red Auerbach bamboozled drooling alcoholic GMs into trading all-star players for "Your Mom." Damn, what a gorgeous looking uni. Interesting. 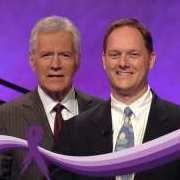 I saw that picture and assumed it was a memorial patch. EDIT: Read above notes. Makes sense. I digging now to see why the memorial patch. Men's 1984 USA Team vs. NBA All-Stars at the Hoosier Dome. 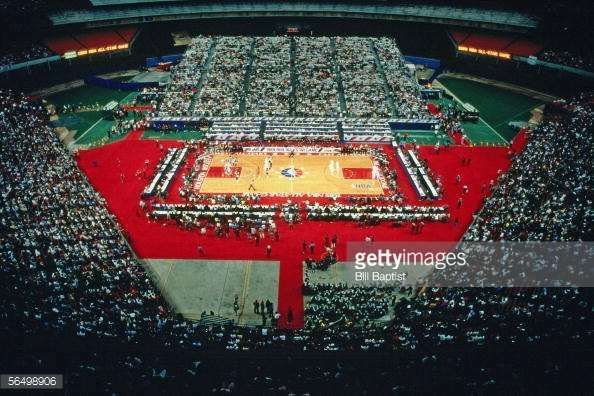 Interesting layout -- more so in the vein of what the Final Fours do how with a full stadium layout instead of a corner. 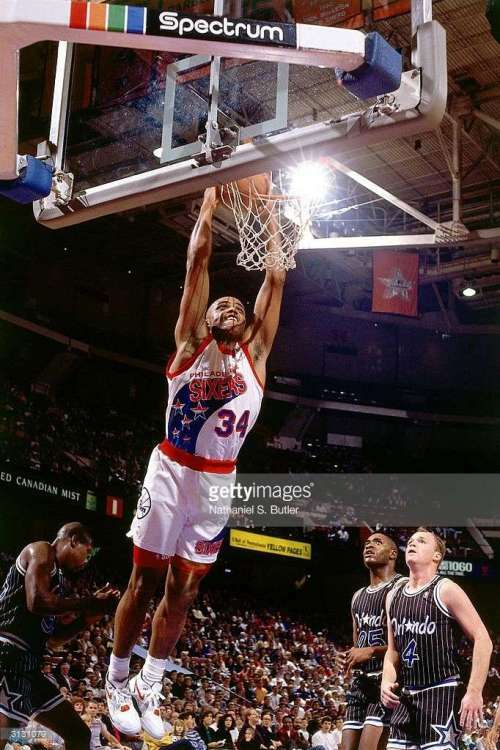 I also believe the success of this game led the NBA to move the All-Star from Market Square to the Dome. 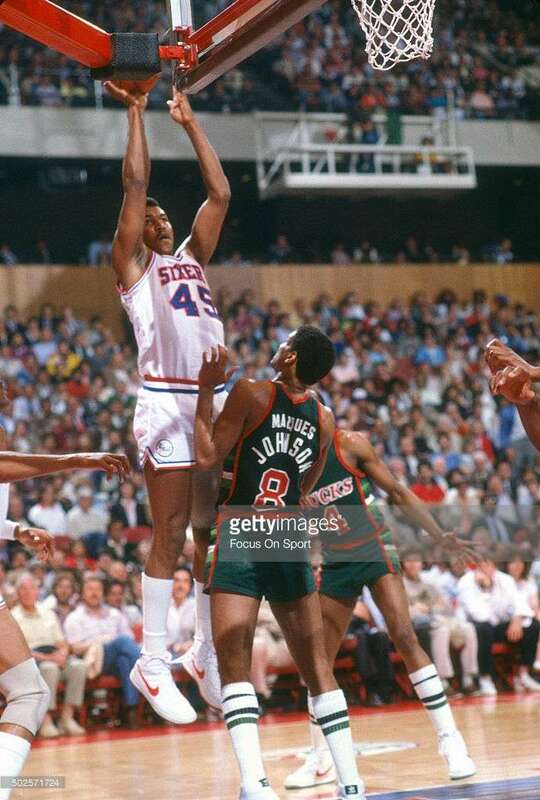 Interesting name on the back for the Bucks' Marques Johnson. I recall Isiah Thomas doing this for a season or so in Detroit as well? 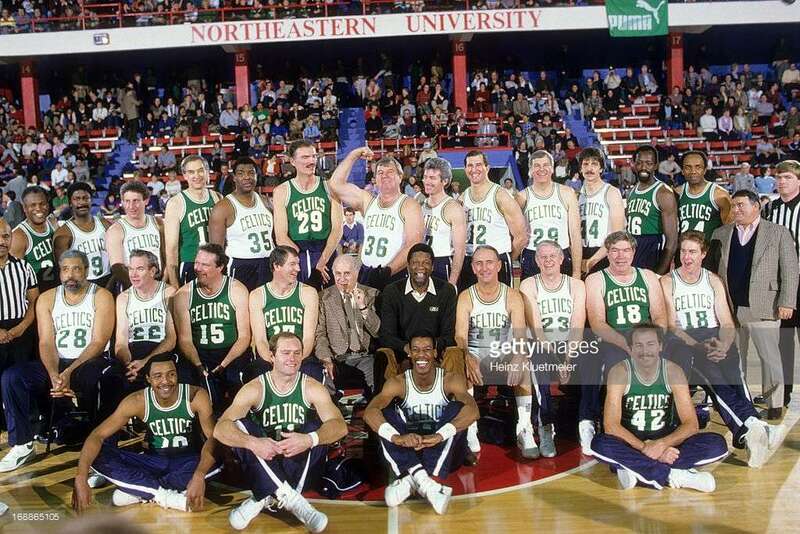 OLD TIMER CELTICS GAME -- 1985ish? 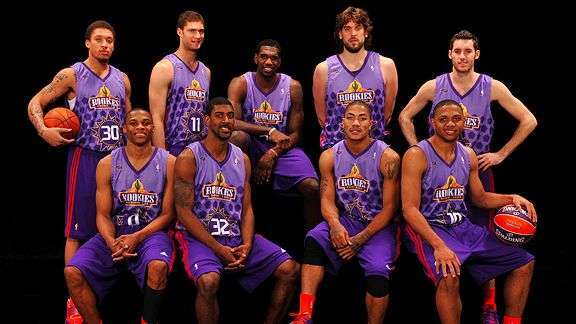 Crappy uniforms. They all look like the cheap replicas. 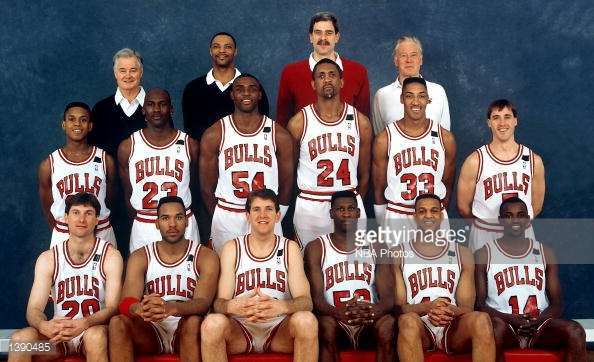 Pacers vs. Bulls game that looks to being played in Univ. 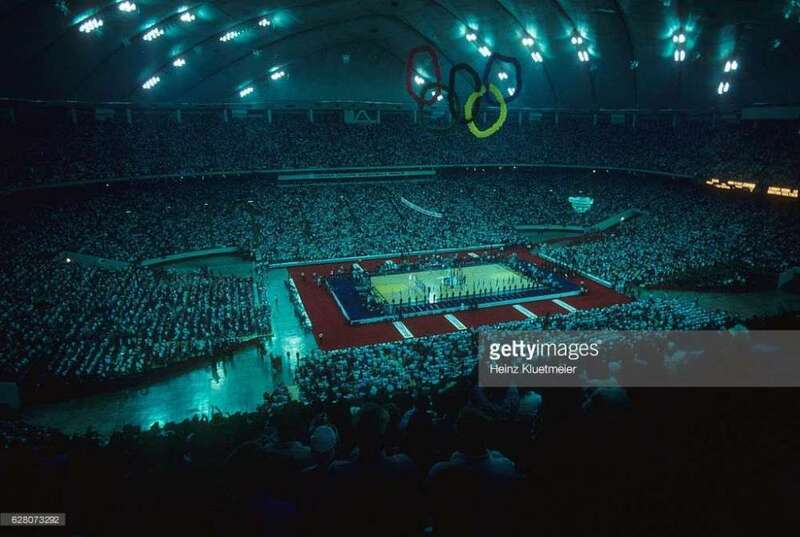 of Indiana's Assembly Hall. Not sure of the reason behind this? Some really cool photos here! I echo the comments about the memorial. 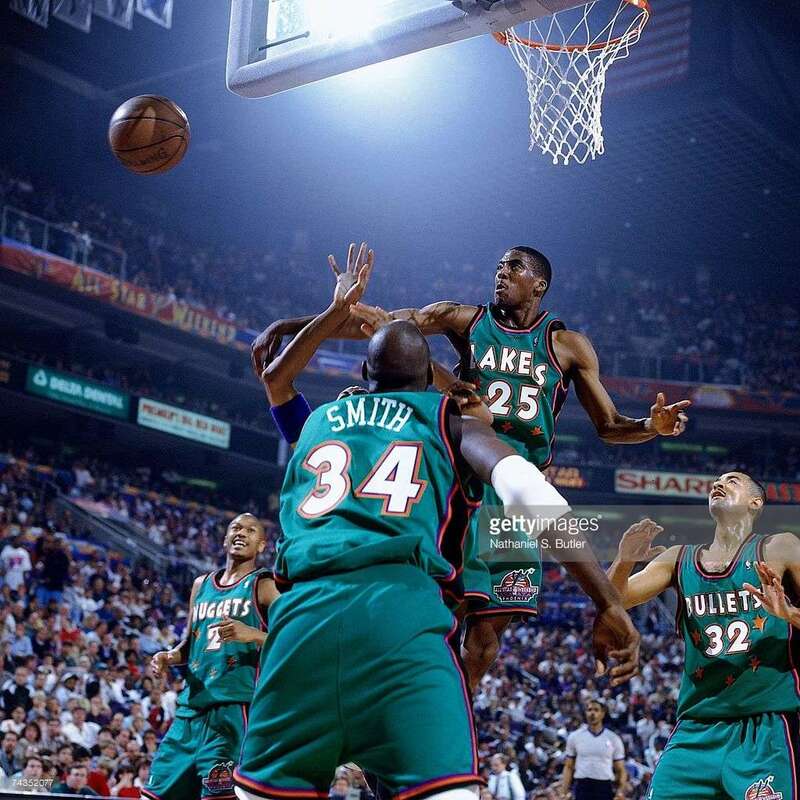 Plus, the Champion logo would never have been above the NBA logo if it had been on authentic jerseys. 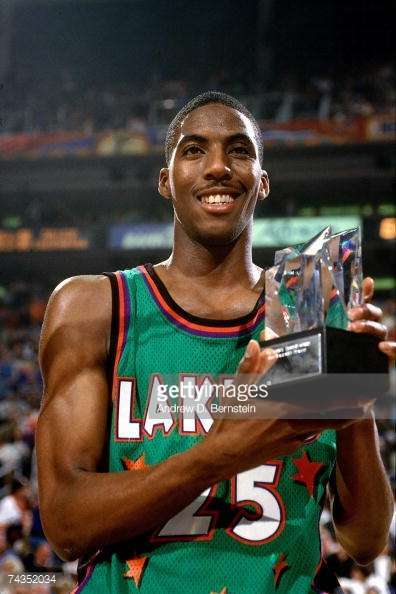 All the replica jerseys had the Champion logo beneath the NBA logo.